One of the most important things a financial advisor can do for their clients is to help them manage their taxes. Why is that? Simply because taxes are one of the biggest drags on investment performance. So it’s really important that we as advisors create what’s known a “tax alpha,” which refers to the additional performance benefit that your investments receive through tax savings. We’ve talked in the past about tax-loss harvesting, where you sell an investment that’s lower in value than your cost basis, which allows you to claim the loss on your tax return. Keeping in mind the wash-sale rules, you could then buy that security back at a later date to avoid throwing off your asset allocation. But sometimes, it can make sense to do just the opposite – harvest your capital gains. Let’s say for example that you just retired, and you find you’ve moved from the 25 percent tax bracket down to the 15 percent bracket. 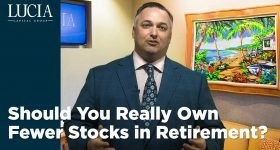 This can be very good news if you’re looking to sell capital assets, because for those who are in the 15 percent regular tax bracket, you are in the ZERO percent bracket for long-term capital gains purposes. This allows you to sell those assets tax-free! This can be an especially useful strategy if you expect to be in a higher tax bracket at some point in the future. Even better, if you like those securities, you can buy them back immediately with a new, higher cost basis, since there’s no wash-sale rule on gains. 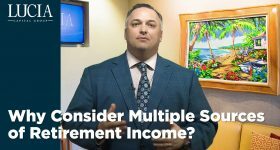 Keep in mind that in order for this to work, you need to remain in the 15 percent tax bracket, so you don’t want to harvest too large a of a gain. 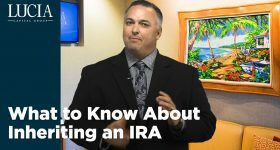 It’s also important to note that the gain is still part of your AGI, which could subject other income, like your Social Security, to taxation. This is why it’s vital that you work with your financial advisor on this strategy, because getting it wrong could have some very bad consequences, tax-wise. Taking advantage of a free step-up in basis and doing so at a near-zero cost could result in thousands of dollars in capital gains tax savings every year. And in a world where the only other way to get a step-up in basis is to die, this strategy has a LOT of appeal. As financial advisors, we deal with this every day. 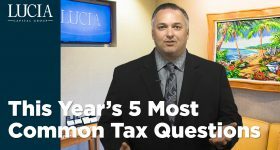 As we approach the last quarter of 2016, it’s time to start thinking about your taxes – and we’re already doing just that. Give us a call. We’re here to help.